Thanks so much for hosting me today, Lynnette! It’s a joy and privilege to talk about my writing journey though to be honest, I’m still pinching myself. It all began in my childhood when I used to hang around the library and read all those little bios of historical figures. Being a Kentuckian, I was very enamored with Daniel Boone as my ancestors followed him into the area in the late 18th-century. Kentucky history forms the basis for my first 3 historical romance novels – The Frontiersman’s Daughter, Courting Morrow Little, and The Colonel’s Lady. I’ve been writing stories since age 7, all historical, as that’s my passion. I wrote a novella at age 12 and then the sequel to Gone With the Wind in high school, then Dances With Wolves II and an English mystery, among other things. All of them were just terrible - with a capital T! It only took 40 years for me to take my scribbling to a publishing contractJ. It’s truly a miracle that I am published. 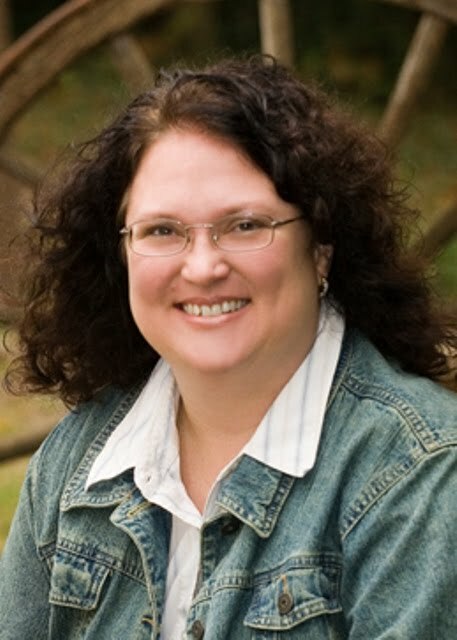 I had no computer skills and no computer until the last few years (always wrote manuscripts out longhand), no writing friends, no agent, no writing conferences or connections, no critique partner, was unaware of the writing community blogging, etc. 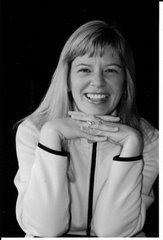 To complicate matters, I was teaching fulltime and married and had my children late, beginning at age 35. After the birth of my second son, I felt the Lord telling me to put my writing aside so I did for 5 years. None of this was conducive to publication, let me tell you. I felt farther from my dream than ever before. In 2007, after feeling free to write again, I finished The Frontiersman’s Daughter which I had worked on over a ten year period. My grandmother, parents, and brother gifted me with a manuscript evaluation/critique with a wonderful freelance editor, Arlene Robinson. She suggested I tweak a few things and then put her stamp of approval on the manuscript. At the same time, I submitted several chapters to Writer’s Edge, a Christian manuscript submission service, which brings unagented writers and publishers together. Almost immediately I was contacted by several CBA publishers, large and small. Within six months, my dream editor and publisher, Revell/Baker Publishing Group, asked for a full of The Frontiersman’s Daughter. Later I realize how rare this kind of an opportunity is. I’ve heard that only Kristen Heitzmann and I have been picked up through Writer’s Edge. 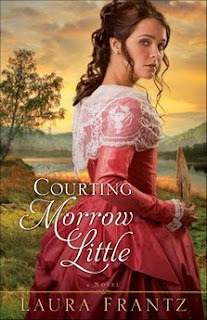 I’d already begun working on Courting Morrow Little when Revell offered me a 3 book contract. I’d hoped to simply sell one novel so was astonished when they asked for two more. I’d recently finished the sequel to The Frontiersman’s Daughter, which was set in Scotland, but my publisher wanted me to stay on the frontier. I was thrilled to oblige and am now finishing The Colonel’s Lady which is due August 1st. I think, deep down, that the Lord gifted me to write from an early age. There’s no doubt that He opened the door when the time to publish came about (His timing, not mine). Circumstances were definitely not in my favor. The only things that kept me in the game was a love for writing and the knowledge/belief that if I was ever to be published, He would have to handle all the details. And He did. I’m truly living proof that you don’t need any superfluous writing stuff to get in the door. If publishing is His plan for you, all you really need is Him – and the book of your heart. I do think being a part of the writing community is very valuable. Last year I joined ACFW and attended their annual conference in Denver. Wow! However, if the Lord had allowed me to become involved in the writing community and see the level of competition and the difficulty of becoming a part of the CBA prior to publication, I think I would have quit. In His mercy and grace He withheld the very things I longed for for my benefit in the long run. I would have always written for myself, of course, for the joy of writing, but I would not have attempted to become a published author. He knew this, of course, and planned accordinglyJ. He is a very wise and personal God. I’d love to have readers visit me at laurafrantz.net! In April 2008, I received “the phone call” from my agent, Rachelle Gardner, that Zondervan had made an offer on the Seasons of the Tallgrass, a contemporary romance series set in the Flint Hills of Kansas—a place I dearly love. My long-held dream had finally arrived—my prayers had been answered. But the story didn’t begin there…it began many years ago when I attended Emporia State University and took a summer course called Flint Hills Folklore. Along with classroom study, we took field trips into the heart of the Flint Hills and visited with old-time ranchers, schoolmarms and post-mistresses. It was such a delightful experience, especially our drives into the pastures. We would get on these back roads and drive over pasture guards into the open range. We would travel for miles without seeing another car or even an electric line—just pure, native prairie. That summer, I fell in love with the Flint Hills and it has stayed with me all this time, finally culminating in the contemporary romance series, the Seasons of the Tallgrass. 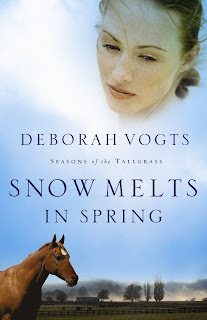 My first book, Snow Melts in Spring, begins when a horse is terribly injured. Right off, I had to know technical terminology and had to create a scene that was accurate and believable. To get it right, I contacted a handful of veterinarians, asked them a bunch of detailed questions all the way down to possible accident scenarios, which would create the type of injuries required for the story. I even shadowed one small animal vet for a day in order to get a feel for what a "day in the life" might look like for my character who was also a vet. My hero in this book is an NFL quarterback, so I also had to know something about football. For this research, I went to the children's section of the library and checked out an armload of books. I also watched a lot of football games on television and asked my football-loving friends and family hundreds of questions--all so I could write two or three scenes with authenticity. On one of my many road trips into the Flint Hills, my husband and I stayed at the Clover Cliff Ranch, a Bed & Breakfast owned by Jim & Joan Donahue. This place became the basis for the McCray's Lightning M Ranch. 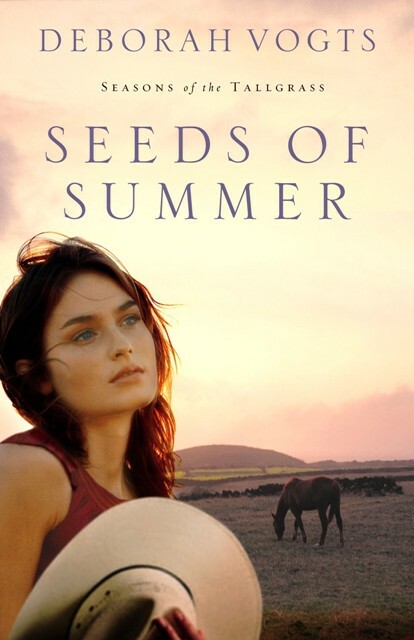 For Seeds of Summer, which released the end of May, I learned about the Miss Rodeo America competition because my main character, Natalie Adams is a former Miss Rodeo Kansas and first runner up Miss Rodeo America. 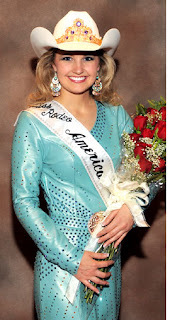 My research for this story included visiting with those at the Miss Rodeo America headquarters, as well as interviewing and questioning the current MRA at that time, Miss Amy Wilson, Miss Rodeo America 2008. The highlight of this research occurred when I met and visited Amy at her home in Colby, KS. Amy was a joy to work with and is such a lovely person. My visit to her home was an unexpected blessing, as she shared some special moments from her time as Miss Rodeo Kansas and then as Miss Rodeo America. Seeds of Summer Book Blurb: When opposites attract, sparks fly--like an electrical malfunction. That's what happens when former rodeo queen Natalie Adams meets the new pastor in Diamond Falls. A heart-warming contemporary romance set in the Flint Hills of Kansas where a former rodeo queen abandons her dreams in order to care for her deceased father’s ranch and her two half-siblings, only to realize with the help of a young new pastor that God can turn even the most dire circumstances into seeds of hope. 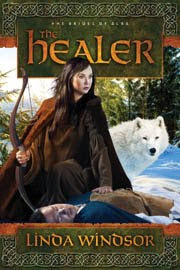 Spanning the Seasons of the Tallgrass, each story in this series reveals the struggle of the people who live there and the dreams they have for the land until they come full-circle in a never-ending cycle, just as man comes full-circle in his understanding of God. 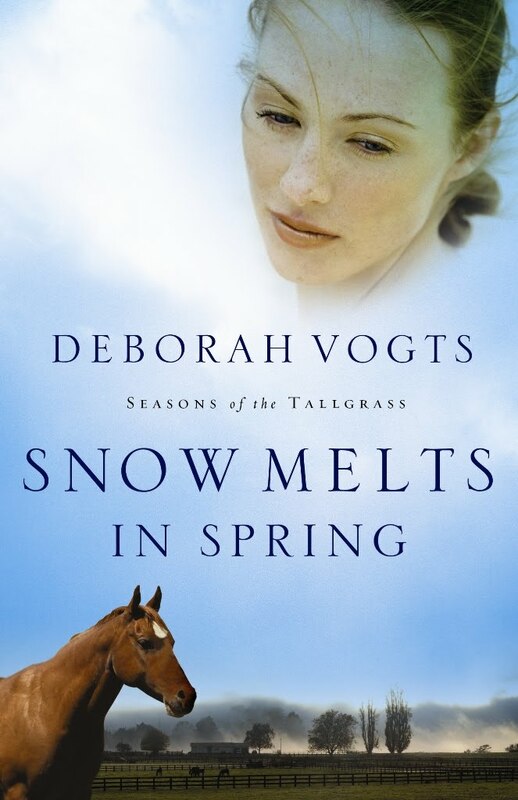 Author Bio: Deborah Vogts and her husband have three daughters and make their home in Southeast Kansas where they raise and train American Quarter Horses. 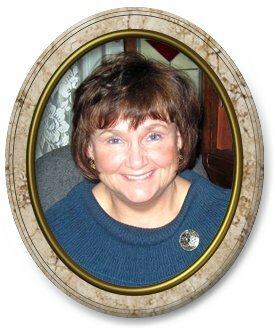 As a student at Emporia State University studying English and journalism, Deborah developed a love for the Flint Hills that has never faded. In writing this series, she hopes to share her passion for one of the last tallgrass prairie regions in the world, showing that God’s great beauty rests on the prairie and in the hearts of those who live there.